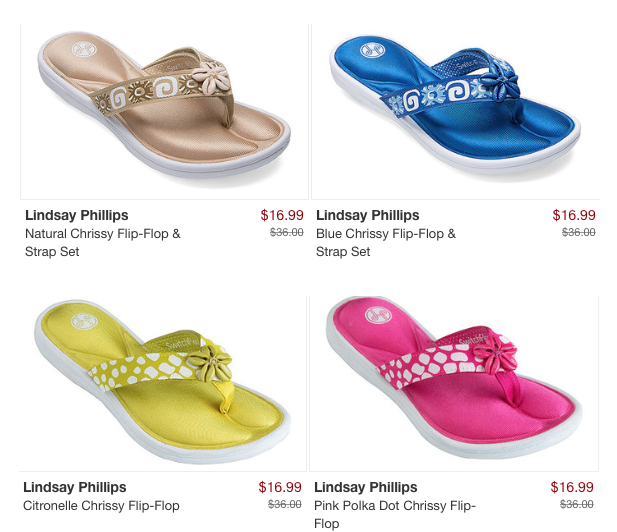 Chrissy Flip Flop Only $16.99! You are here: Home / Great Deals / Chrissy Flip Flop Only $16.99! I love my flip flops and I’m always on the lookout for another cute, comfy pair! These Chrissy Flip Flops for Only $16.99 has a memory foam footbed and a 1 inch heel! They come with one set of interchangeable straps and there are many other strap sets you can get! Win-win!